FOR IMMEDIATE RELEASE: Lewiston, Maine (December 14, 2016) –New England Fights (NEF) returns to the Androscoggin Bank Colisee on February 11, 2017 with its next mixed-martial-arts event, “NEF 27: RESURGENCE.” Earlier today, the fight promotion announced the addition of an amateur women’s bout to the card. Alex Walker (2-1) makes her return to Lewiston to take on the debuting Katie Baker (0-0) in a strawweight matchup. 24-year-old Alex Walker has appeared twice previously in the NEF cage. Walker debuted in the spring of 2015 at “NEF 17” against Randi Beth Boyington (1-3). She returned earlier this year to defeat Nichole Burgess (0-1) with a third-round armbar. This past summer, she captured her first regional title on a fight card in Vermont. Walker is a member of Team Kaze based in Lancaster, New Hampshire. 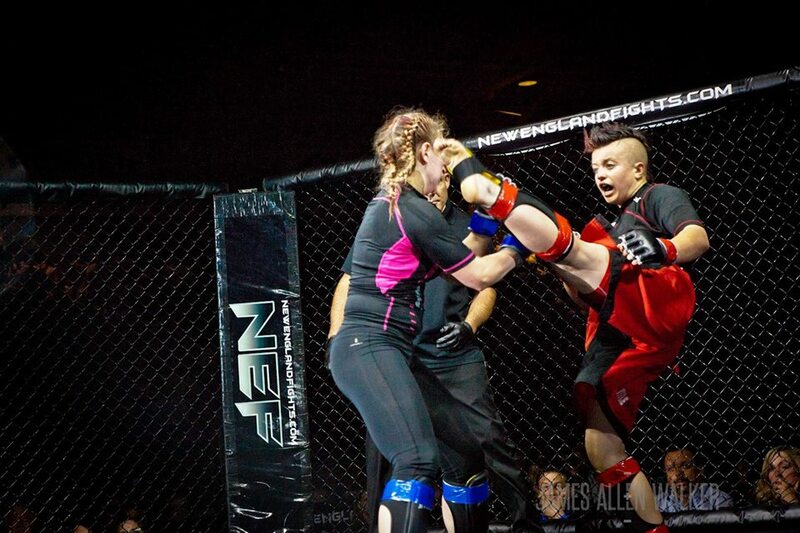 Katie Baker, an 18-year-old from Gardiner, Maine, might be new to the NEF cage, but she is well-known within martial arts circles in the Pine Tree State. Baker began training in combat sports at the age of five. She won the Isshinryu World Karate Championship in 2009 and 2013, and has been a practitioner of Brazilian Jiu-Jitsu for seven years, regularly taking part in local tournaments. Earlier this year, Baker began competing in amateur boxing. She currently trains with Young’s MMA in Bangor, Maine.